Aiming to spark a conversation around sexual harassment and gender-based discrimination, as well as tackling the multifaceted nature of Arab identity, we catch up with Palestinian activist and founder of BabyFist, Yasmeen Mjalli. 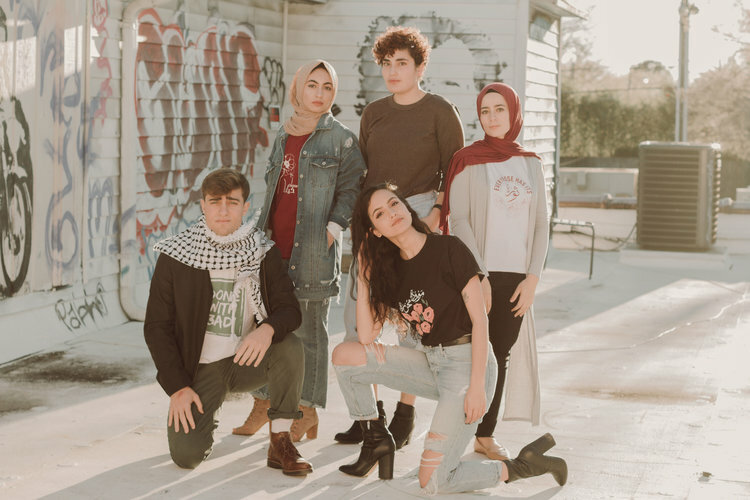 Via a network of charities and women’s co-op, T-shirts and denim jackets are locally manufactured to support the Palestinian textile industry, of which only 13 percent survives since the occupation started, whilst raising funds to unite and empower women through their work. The brand’s mission is to fight abuse and the social and political structures that normalise this type of behaviour and the subsequent injustice and sense of fear that impact the lives of harassed individuals. This mechanism of resistance is also supported and reinforced by Yasmeen’s “Not Your Habibti Typewriter” series, which consists of collecting episodes of sexual harassment from women in the US, Italy and Palestine to break down the taboo and stigma around the issue as well as the silencing of it. 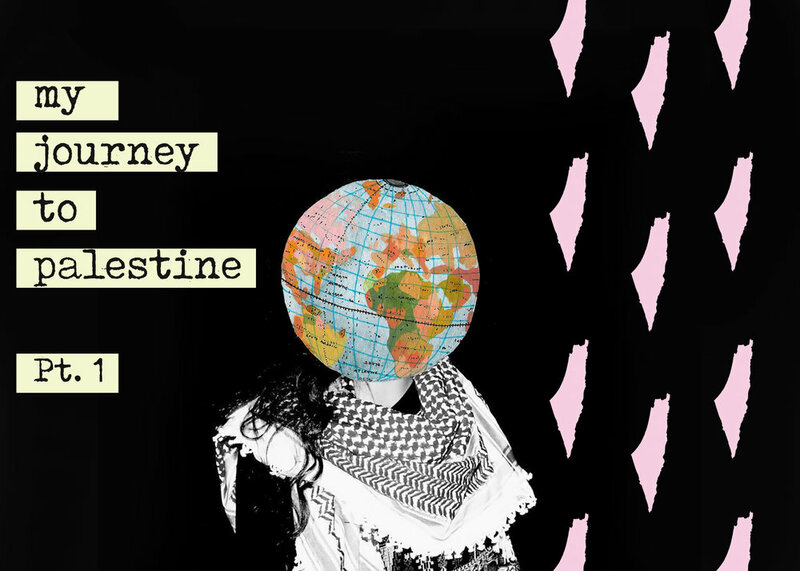 Yasmeen Mjalli: I moved to Palestine a year and a half ago. I’m the daughter of two Palestinians, they were born and raised here. I was born in the United States but always went back and forth as a child, never really an American and never really a Palestinian. I moved here after college, mostly to be reunited with the rest of my family. The move was an awakening, because I did not fit in, although I was coming back to my roots. Despite my Palestinian background and identity, I was not seen as Palestinian. I had this identity crisis happening at the same time as I was dealing with sexual harassment for the first time. Not because it’s more prevalent in Palestine, but just because I came from a small town in rural North Carolina where that just doesn’t happen. I was totally unprepared and not used to this, and there was no conversation happening that I knew of, so I didn’t feel like I could talk about it. BabyFist grew out of this need for a conversation. It didn’t start off as a movement, but it quickly turned into that. CM: Your work is inspired by American artist Sheryl Oring and you had a chance to work with her. Do you have a background in the arts or was it just the most direct way to combine and translate everything you were going through? YM: I studied History of Art, but I never attempted to make my own art. I worked with Sheryl Oring, who takes a typewriter all over the US and that’s what I also do to engage people into a conversation. In her case she engages people into political conversations whilst I’m talking about very taboo and sensitive subjects amongst a pretty underrepresented population but at the same time fostering a discussion that we should have been having a long time ago. My first experience of sexual harassment happened in the streets of Ramallah, which was very public. With the Typewriter Project, I was asking people to have this incredibly private conversation in the street, where sexual harassment happens for most people. I was forcing this conversation out of the shadow to make people realise that it’s nothing to be ashamed of. CM: You established a network of charities you partner with, but you’ve mentioned how difficult it was for you to be perceived as fully Palestinian. How did you go about getting the support you needed to create the clothes as well as collecting experiences of sexual harassment? YM: The charities and organisations I work with don’t see me as a foreigner, so I felt more comfortable. We’re working within the realm of women’s rights and gender equality, so the women I collaborate with are used to being told that their work is un-Arab and un-feminine. When I stepped into the scene, they were already in the same situation I had been in. CM: How did that translate with the Typewriter Project, where you´re getting strangers involved and they might not be used to having this type of conversation? Were there any difficulties around that? YM: That was and remains difficult because it’s a minority conversation and seen as taboo. Every time I did the Typewriter project whether it’s in Palestine, Italy, or in the US, people are hesitant and terrified to talk to me. The project is about being able to create a space and a sense of comfort. Some people will never choose to speak to me, that’s very common. Drawing people into the conversation is very personal. When I started the project in the street I sat in the sun for five hours asking people to stop and share with me. I must have asked 500 women that day to talk to me and I think only 37 came forward and it’s been like that everywhere, especially in the US. It was so shocking because with the #MeToo movement being so prevalent, it was surprising that the US was one of the most “uptight” and terrified places. Harvard was especially tough. I was there with my typewriter and only two people talked to me that day. It’s so easy for them to pretend that they don’t have problems especially when you’re at that level of prestige and you’re meant to be a model for the rest of the country or the academic world. CM: You have a direct link to the US and Palestine, but I was wondering where the link with Italy comes from. Growing up there, I could identify with the stories you gathered, regardless of their origin. YM: I was invited to Rome by an Italian writer and journalist. It wasn’t until I got there that I realised that if you took all the letters that I got in Rome and in Palestine and put them in a pile anonymously and without location and asked people to put them on a map they wouldn’t be able to. Whatever happens in Italy happens in Palestine, it’s a universal thing that transcends borders, race, and religion. That was eye-opening because you can´t quite see the divide between democratic countries and countries that are perceived as far from being democratic. This experience added a more critical layer and perspective in deconstructing the idea that patriarchy is an inherently Arab or Eastern thing. CM: As far as the effort to tackle discrimination and harassment goes, how do you go about bringing people together in a physical space that is shaping up to be the exact opposite of a space for open conversation? YM: In a lot of ways Palestine is an open-air prison made up of a lot of tiny prisons. That also informs the structure and way in which people think about their own society, culture, and political development and so on. These physical barriers end up erecting mental and socially collective barriers between us. A lot of my work initially started analysing women’s rights in Palestine and then it expanded to the Arab world and then grew into an international conversation. For me, it’s not about creating a big umbrella of feminism, but recognising that there are so many factors locally and internationally that contribute to what we have going on the ground here. It’s difficult to have a conversation where you acknowledge all these different parts while trying to make sure that people on the ground here facing physical barriers under the occupation don’t feel overlooked and undermined. CM: Seeing as it is difficult to find means to resist this type of issues, the marriage of fashion and arts in general and activism is often effective and popular. Do you find that sometimes there’s the risk of trends taking over the message? YM: Yes, I could see this happening. Last April I went on a US tour where I spoke at several universities. For the first time I did something on a bigger scale, got to meet so many people that identify with this movement and want to join the conversation. I realised that the people getting behind this, regardless of where they’re based, aren’t investing in it because of a T-shirt or because it’s a cool trend. They just need to be part of the conversation because whether or not we like to admit it, this plague of gender-based discrimination and oppression has touched us all in some ways, some more severely than others. That was amazing for me to see and bring back. For a long time Iwas worried about whether or not BabyFist was capitalising over this severe social issue, but the structure of what I do and the way we work to give back definitely keeps it in check. But I have seen other brands doing that and it’s a little heart-breaking and as a consumer you should be able to realise which brands are using activism only as means for sales. CM: Were there any brands or designers that provided some inspiration when you were setting up BabyFist? YM: There are two brands that I absolutely adore, they’re definitely the models for ethical fashion. The first one is US-based brand Reformation; they focus more on being conscious of the environmental impact. The second, much smaller brand that I love to bits is Zazi Vintage, a German brand that works with women in Pakistan and India and they ethically source and create beautiful garments, whilst being totally independent. CM: Now that the project has grown, what are your plans to expand it as well as collecting more stories? YM: The idea is to take the Typewriter project on another US tour and one in the UK in the fall, as well as continuing the Palestinian tour, as I’ve done it publicly at three or four Palestinian universities but there are so many I haven’t been able to go to, just because of administrative obstacles. At the same time, I’ll be starting grad school in Gender Policy in the Middle East and I’m quite exited about it.